So I decided to give it a try. I simply gathered up a few small roundish rocks and a bottle of craft paint I already had. Now the bottle says it’s red in color, but it’s more of a dark pink… with sparkles! 😀 But still I painted each of the rocks with the paint I had and let the paint dry between coats. Then I took my white paint pen and put a little detailing on each one. Hopefully this looks enough like a strawberry that it will fool the birds. If the paint doesn’t weather well I may have to repaint in the future. But I’m out zero dollars for this trick. 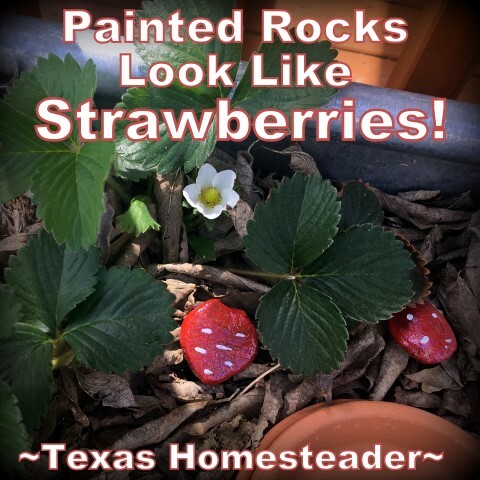 I had the rocks, I had the paint (sparkly as it was…) so if it saves my strawberries all the better! 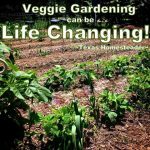 I am so excited, I just ordered my victory garden. It’ll be built in early May. Snow is threatening again tomorrow. Sure is strange getting snow the late. I got too use to the Washington weather. I can’t wait to start planting. Kaleigh is excited, too. She’s already picking out seeds. 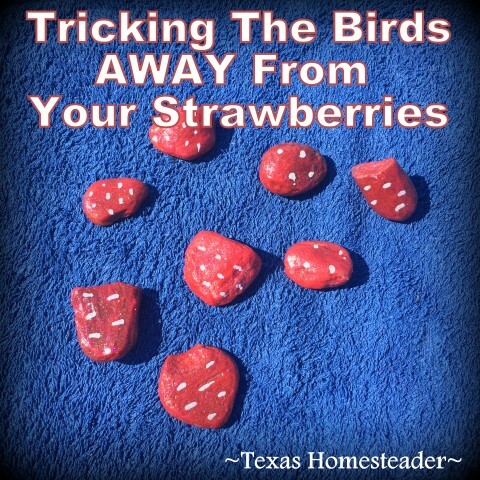 I don’t do strawberries – I had enough of them as a kid when the folks raised them – not a zillion acres or anything, but If I picked them and sold them I got to keep the money. Of course there was a lot of eating too. My issue in these days (MANY years later) is my blueberry bushes and the deer and elk that frequent our property. A friend told me recently that she had read and started using Irish Spring bath soap in cheesecloth bags hanging from her fruit trees to ward off the wildlife. So I’ve got bags of it hanging in my bushes. I hope it works. I can see two does out across the pasture from my front room window as I sit with the computer on my lap.